"I'm hands-on and stay on top of my cases. I review everything myself. When I deeply know a case, I'm more able to find creative solutions, perhaps other than litigation. Plus, it's more efficient." Jamie Rhymes is an experienced energy and business lawyer helping oil and gas producers resolve their difficult disputes and sophisticated contract issues. For over 20 years, local, Louisiana independents and international majors have relied on Jamie's technical knowledge and practical approach to defend high-stakes oil and gas litigation, environmental legacy cases, decommissioning, orphan wells, royalty litigation and other claims arising from production, transportation, and handling of hydrocarbons and from doing business in Louisiana. Jamie has worked closely with experts in the areas of hydrogeology, geology, environmental risk assessment, human risk assessment and geochemistry as applied to environmental and energy litigation. In addition, he understands the complexities of title issues and their impact on oil and gas agreements, thanks to his experience preparing title examinations on property in both North and South Louisiana, including preparing both drillsite and division order title opinions. Energy clients ­- often headquartered in Louisiana and Texas ­- seek Jamie's help with Louisiana's complex oil and gas industry regulations, oil and gas lease provisions and maintenance and other practical aspects of drilling for and producing oil and gas in the state. He has drafted and negotiated all manner of contracts and agreements, such as surface and subsurface leases, mineral leases, joint operating agreements, participation agreements, subleases, assignments of leases and overriding royalties. He has also handled long-term transportation agreements, NAESB contracts and other midstream contracts. A small, independent producer was sued by a landowner, claiming that the company was disposing of salt water for one of its Louisiana sites. Instead of going to court and risking a big financial hit, Jamie helped the company come up with a practical, affordable alternative to litigation by working out a contract with the plaintiff to use an existing well. "We structured the fixed payments to decline over time, matching diminishing production. In addition, my client avoided having to pay for past use of the well." 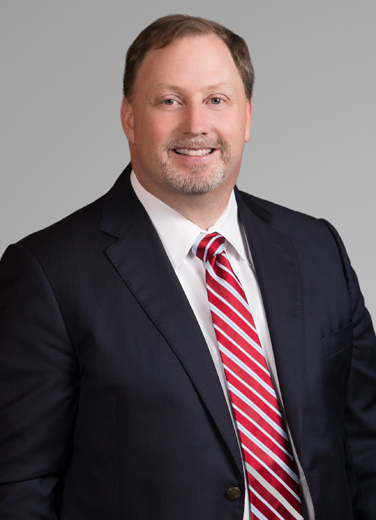 Jamie defended a multi-national energy company in a legacy case where his client had leased the mineral rights to other, smaller oil and gas companies to drill. "Our litigation strategy was to offer these other defendants our support instead of suing them, sharing our experience in dealing with technical experts and other defense resources." The companies which did the drilling settled the case, with no out-of-pocket costs to our client, thereby avoiding an exposure of over $200 million. "I worked as a roughneck in the oilfield through college. That experience gives me a real life sense of what goes on in the field that a lot of other lawyers don't have." Jamie likes to return to North Louisiana with his young children, fishing and hunting and sharing what he experienced growing up there. "I not only cook what I catch and kill, I clean up, too."